Termites live in colonies, however, even if they are living in a large community, they’re still hard to find during the early stages of an infestation. Most of the time, you won’t even know that termites have infested you unless significant damage begins to surface. But fortunately, there are some subtle hints that can help us find if a termite infestation is at hand. Here are some signs that will tell you if there’s a termite infestation in your home. 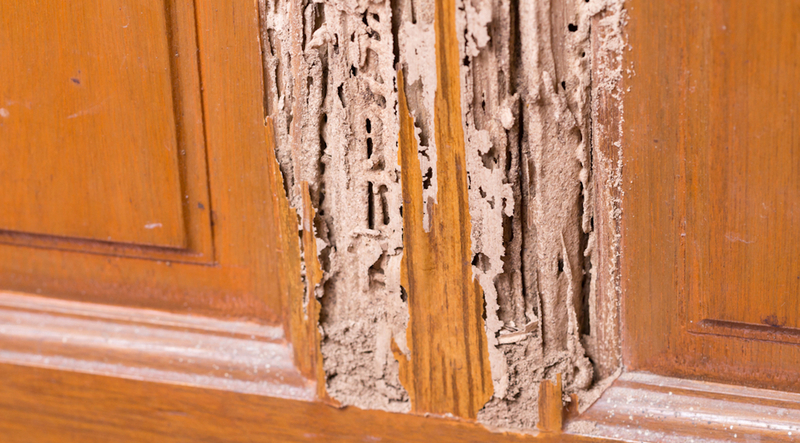 Mud tunnels are a common sign of termite infestation. If you see these mud tunnels lining up the galleries in an irregular pattern, then there’s a very strong sign that termites are nearby or perhaps started to invade your home. Frass or termite droppings are another sign of termite infestation. They look like small pellets piled up on the floor, they can also be mistaken for a sawdust. These piles are mostly found on the floor, window sill and other places. The appearance of swarmers, or what we commonly refer to as flying ants is a strong indication that a termite colony is near your place. Therefore, once you see them, be prepared to prevent them from infesting your home. A swarm is a group of adult male and female ants that leave their colony to establish a new one. Swarming happens often during spring in the months of September, October, November but can be active at any time of the year. Once you have found swarmers indoors, it often indicates that your house is infested with termites. Termite nests or arboreal termite nests could also indicate a sign that a potentially wood-eating termite colony is near your home.